This week, parents of thirteen special needs children filed suit in Tulsa federal district court against four public school districts in the Tulsa area that have denied the children state-mandated scholarships that will help them get specialized education. The lawsuit, entitled Kimery v. Broken Arrow Public Schools, challenges the decision by Broken Arrow, Jenks, Tulsa, and Union school districts to defy Oklahoma's Lindsey Nicole Henry Scholarship for Students with Disabilities Program Act (commonly known as “H.B. 3393”). The Act guarantees parents of children with special needs a scholarship that enables them to send their children to private schools that can tailor instruction to those needs. The disabled children in the lawsuit suffer from several different disabilities, including autism, Asperger's syndrome (a disorder on the autism spectrum), sensory processing disorders, significant learning disabilities, and many other disorders and disabilities. All of the children were suffering academically in public school. And most of the children have been bullied severely by other children in the public school population. One student was beaten with nunchucks while in public school. Another cried himself to sleep nearly every night due to constant bullying. In some cases the children have been merely “warehoused” by the school districts rather than receiving instruction. The school districts claim that the scholarships law violates parts of the Oklahoma Constitution, but they have also frequently expressed concerns about losing the additional state funding that follows special needs children. The school districts are the only school districts out of 541 statewide that announced that they would not comply with state law. After being pressured by the state’s Attorney General, the districts changed their position, stating that they would comply with the law and would instead seek a declaratory judgment regarding the constitutionality of the law. But that never happened. Instead, the parents in the lawsuit allege, the districts retaliated against them for seeking scholarships by reducing their awards and significantly complicating their attempts to claim those benefits. Eric Rassbach, the Becket Fund’s National Litigation Director, said “These school districts put the ‘heartless’ in ‘heartless bureaucrat.’ What kind of public servant holds special needs kids hostage to shore up the school district budget? Are these children supposed to be bullied every day so Jenks Public Schools can hold on to a few extra dollars?” Indeed, these special needs students have been in limbo for nearly four months since the school district announced that they would try to comply with state law. Their on going eligibility for program benefits–the source of their educational resources–has been in doubt. Some of the provisions relied on by the school districts are the notorious Blaine Amendments. Blaine Amendments are state constitutional provisions enacted in forty states during the late nineteenth century and early twentieth century that were designed to thwart the growth of the developing Catholic community in the United States. Today, the Blaine Amendments are interpreted to prohibit all sorts of funding to religious individuals and institutions solely on the basis of their religious identity. Meir Katz, a Legal Fellow at the Becket Fund and national expert on the Blaine Amendments, said, “These school districts have taken a bigoted law originally designed to punish Catholics and are now using it to punish some of Oklahoma's most vulnerable students.” “What's ironic is that most of these students aren't even trying to attend a religious school. The Blaine Amendments have become a license for governmental abuse; it is about time that the abuse be brought to an end,” he added. “Wednesday evening’s House vote in favor of Senate Bill 529, the Erin Elizabeth Swezey Act, is another important step toward protecting the lives of innocent Oklahomans by strengthening our drunk driving laws. “I want to express my profound thanks to House Speaker Kris Steele and Floor Leader Dan Sullivan for ensuring this bill was heard, along with my House author, Rep. Jason Nelson, for all he has done. Legislation that would ensure individuals with developmental disabilities are protected in the handful of sheltered workshops that do not contract with the state has been signed into law. House Bill 1228, by state Rep. Pat Ownbey, would authorize the Department of Human Services to issue, modify and revoke licenses for sheltered workshops. The legislation would also authorize DHS to inspect and evaluate workshops and require criminal background checks for all employees of a sheltered workshop. The new law will take effect on Nov. 1, 2011. "This is a historic Legislature, completely controlled by Republicans for the first time. As such, reforms that were once unprecedented have become commonplace." "It is incredible and unacceptable that Oklahoma taxpayers are paying nearly six times the cost of what comparable groups are spending for that same process. This legislation is designed to fix that." Rep. Jason Murphey, R-Guthrie, Author of Senate Bill 541. A study stated that Oklahoma state government has a significantly higher number of full time employees employed to conduct these operations than peer organizations. Oklahoma processes 2,039 accounts payable occurrences for each employee while peer groups are able to account for 15,693 of these same processes with each employee. The House approved Senate Bill 541 by a vote of 61-34. The legislation now returns to the Senate for additional consideration. The grand jury will meet from Monday, April 18, through Wednesday, April 20, at the Oklahoma County Courthouse. 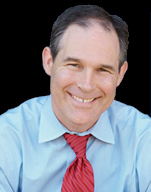 The multicounty grand jury was requested by Attorney General Scott Pruitt and approved by the Oklahoma Supreme Court on Jan. 27. It will be led by Assistant Attorney General Charles Rogers, chief of the Multicounty Grand Jury Unit for the Oklahoma Attorney General. The multicounty grand jury has jurisdiction to investigate criminal matters in all 77 counties, assisting local law enforcement as well as handling matters of state interest. The state’s 12th multicounty grand jury wrapped up in September. It indicted 10 people and assisted 145 federal, state and local law enforcement agencies. Grand jurors typically meet to hear testimony two to three days each month. Testimony before a grand jury is closed to the public. "The people of our state deserve a government that is funded yearly to the extent that is desired without the use of robbing Peter to pay Paul, or selling bond after bond which only adds to the long-term debt of our great state." 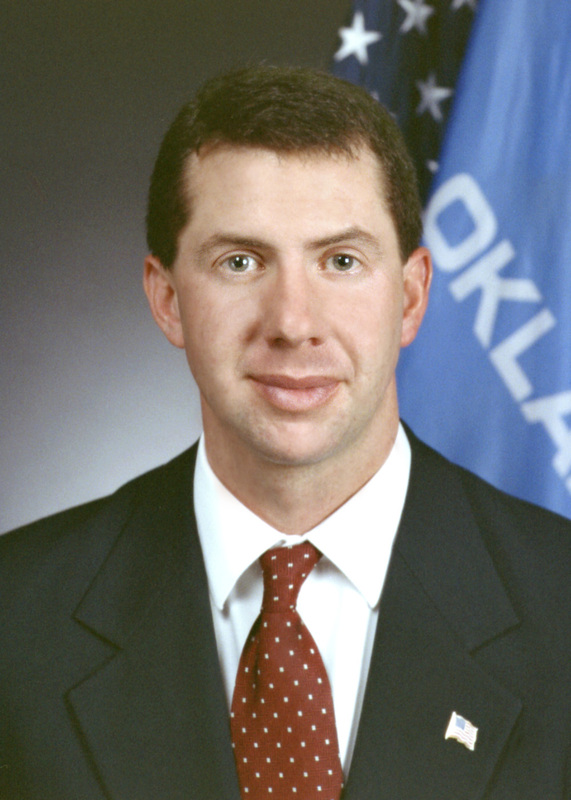 Steve Kouplen, D-Beggs, represents District 24 in the Oklahoma House of Representatives. “Sixteen years ago, 168 victims tragically lost their lives in an unimaginable and shocking act of terrorism. Today, we remember the fallen, give comfort to the families left behind and to the survivors. We also again express our appreciation for the rescue workers and first responders who spent countless hours at the scene. The Oklahoma House of Representatives has approved legislation designed to transform inefficient state agency financial services systems. 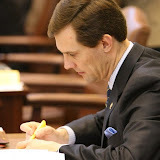 Senate Bill 541, by state Rep. Jason Murphey, (R-Guthrie) and state Sen. Anthony Sykes (R- Moore), was proposed following a report by the Hackett Group, which demonstrated massive inefficiencies in the way state agencies conducts financial services. The report compared Oklahoma agencies’ financial services processes to those of other public and private sector peer organizations of like complexity. The report demonstrated the inefficiencies by stating that it costs Oklahoma taxpayers $20.05 to process one accounts payable invoice while comparable peer groups pay $3.58 for each similar service. The study also stated that Oklahoma state government has a significantly higher number of full time employees employed to conduct these operations than peer organizations. Oklahoma processes 2,039 accounts payable occurrences for each employee while peer groups are able to account for 15,693 of these same processes with each employee. The flags at the Capitol will be at 1/2 staff tomorrow, April 19th, in honor of the victims of the bombing of the Alfred P. Murrah Federal Building. Governor Mary Fallin today signed into law Senate Bill 406, a measure adding further restrictions to funeral protests. 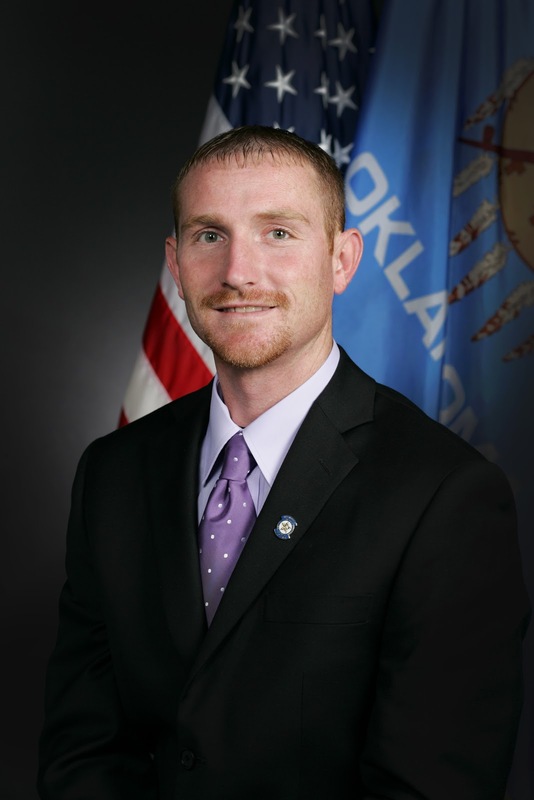 The bill, by Sen. Josh Brecheen of Coalgate and Rep. Dustin Roberts of Durant, would prohibit protests within two hours before or after a funeral. SB 406 also bans such protests from within 1,000 feet of a funeral. Previous law allowed protests to occur within 500 feet. Governor Mary Fallin joined other state leaders late last week in announcing that Oklahoma will establish a Health Insurance Private Enterprise Network to prevent the establishment of a federal health care exchange in Oklahoma. Working together, leaders were able to address concerns expressed by some by adding specific safeguards into the legislation that will prevent the implementation of a federal health care exchange while creating an Oklahoma-based health insurance network. The Health Insurance Private Enterprise Network, based on a concept by the conservative Heritage Foundation and legislation passed by the Oklahoma Legislature in 2009, will increase access to affordable, private, portable health insurance plans through a free market-based network that offers choice and competition to consumers. The network will be governed by a board consisting of a majority of members from the private sector and chaired by the Insurance Commissioner. The network will be funded through state or private resources. The state will not accept the $54 million Early Innovator Grant. House lawmakers have unveiled a proposed congressional redistricting map for the state of Oklahoma. "The proposed congressional redistricting plan adheres to the basic principles outlined when we began this process," said House Speaker Kris Steele, R-Shawnee. "It does not needlessly divide communities of interest, it protects the rights of citizens, and it is carefully constructed to ensure each district has equal population." "Because we are committed to a sensible redistricting process, the new map is not dramatically different than the old one," said state Rep. Dale DeWitt, R-Braman and chair of the House Redistricting Committee. "Rural districts remain rural and urban districts remain urban, and each district contains an almost identical number of citizens. I believe this plan will easily gain passage in both chambers of the Legislature." 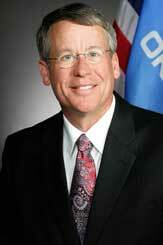 House Bill 1527 creates the "Oklahoma Congressional Redistricting Act of 2011." According to the 2010 Census, Oklahoma’s total population is 3,751,351; therefore, each of the state’s five congressional districts should have approximately 750,270 people. Governor Mary Fallin today joined other state leaders in announcing that Oklahoma will establish a Health Insurance Private Enterprise Network to prevent the establishment of a federal health care exchange in Oklahoma. Working together, leaders were able to address concerns expressed by some by adding specific safeguards into the legislation that will prevent the implementation of a federal health care exchange while creating an Oklahoma-based health insurance network. The Health Insurance Private Enterprise Network, based on a concept by the conservative Heritage Foundation and legislation passed by the Oklahoma Legislature in 2009, will increase access to affordable, private, portable health insurance plans through a free market-based network that offers choice and competition to consumers. The network will be governed by a board consisting of a majority of members from the private sector and chaired by the Insurance Commissioner. The network will be funded through state or private resources. The state will not accept the $54 million Early Innovator Grant. For the first time in state history, the Oklahoma House of Representatives will have standing conference committees that hold meetings open to the public. The historic reform, adopted by lawmakers at the start of session, will be implemented next week as conference committee work begins. "Opening up conference committees represents a major change in the way business is conducted at the state Capitol," said House Speaker Kris Steele, R-Shawnee. "The rule changes adopted this year dramatically increase the opportunity for public input into the legislative process and provide greater safeguards against last-minute changes escaping thorough review." "While the democratic process may be noisy and, at time, contentious, it must also be transparent for the public to have faith in the decisions made at the Capitol," said House Speaker Pro Tempore Jeff Hickman, R-Fairview. "I believe this new process provides far greater openness and accountability as well as common-sense timelines for the end of session allowing adequate opportunity to review legislation. These reforms were needed in the Legislature for decades, and I am proud that lawmakers have been bold enough to enact them this year." 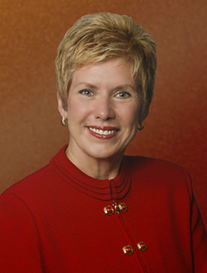 The conference-committee rule changes are the result of a working group created in November 2010 and chaired by Hickman. When the House and Senate pass different versions of the same bill, the legislation is then sent to a joint conference committee where a final version is negotiated. In the past, those conference committees rarely convened in any actual meeting of the members and votes were seldom cast in public. Under the new process, the House will establish permanent standing conference committees to handle its half of the process. Those permanent conference committees will hold public meetings and all votes will be cast in public. Advance public notice that includes a detailed listing of bills on the agenda will be required for each conference committee meeting. The House rules will continue to prohibit completely gutting a bill in conference and replacing it with language unrelated to the measure’s original topic. To provide extra safeguards against such action, no bill can be assigned to a standing conference committee unless the group’s membership includes the chairperson and vice-chairperson of the traditional standing committee that previously heard the measure. Prior to receiving a vote in conference committee, proposed versions of each bill will be publicly posted online for member and public review with a link to previous versions with changes highlighted. As in the past, for a bill to emerge from conference committee and receive a vote from the entire Oklahoma House of Representatives, the conference committee report must receive the support of a majority of both the House and Senate members constituting the conference committee. The reforms also include a hard 24-hour rule that requires a House conference committee report to be filed and posted online for a full day before it can be considered on the House floor. Previously, there was no 24-hour rule during the final two days of session. Governor Mary Fallin today signed into law House Bill 1380, an education reform measure that makes it easier to dismiss underperforming teachers. Under the current system, tenured teachers who are dismissed by local school boards can appeal that decision in district court. The appeals process, known as “trial de novo,” assures that dismissing underperforming teachers is both a lengthy and expensive process for schools. HB 1380 eliminates “trial de novo” and reforms the system to allow locally elected school boards to let teachers go without a long and costly appeals process. Fallin said the bill is the first step in a series of education reform measures she is asking the legislature to send to her desk. Fallin had earlier identified the elimination of “trial de novo” as a priority in her State of the State address. 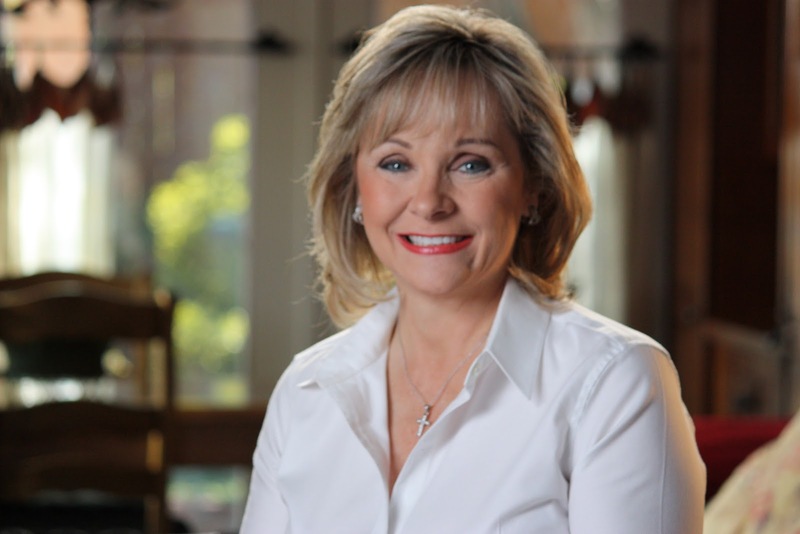 Governor Mary Fallin today signed into law House Bill 2139, a measure that reforms the duties of the state Board of Education and the superintendant of public instruction. The bill, authored by House Speaker Kris Steele and Senate Pro Tem Brian Bingman, streamlines the operations of the state Department of Education by placing control of the department with the superintendent rather than the state Board of Education. The bill also clarifies the superintendent’s authority to give advice and make recommendations to the state Board of Education on all matters pertaining to the policies and administration of the public school system. It also directs the state board to submit a budget, as prepared by the state superintendent, to the governor’s office. “In Oklahoma, the superintendent of public instruction is elected based upon the ideas and agenda they present to voters. And the superintendent – not the unelected Board of Education – should have the power to run the Education Department. This legislation will help to make the department more accountable and responsive to the will of the people,” Fallin said. The work product of the Adoption Review Task Force is scheduled to be heard in the House Human Services Committee this Monday beginning at 3 p.m. or right after session adjourns. I just filed the Committee Substitute to Senate Bill 510 which the committee will consider at its last meeting of this legislative session. I took office in January amid a bipartisan groundswell of support in Oklahoma for education reform. Most Oklahomans recognize we're in crisis in education in our state. In March, we learned that nearly 43 percent of first-time freshmen who entered Oklahoma's public colleges in the fall of 2009 were not prepared for college. These results are like a dash of cold water. We understand mediocre doesn't cut it anymore, and we're taking action. Today Pastor Randy Faulkner of Oklahoma City served as Chaplain of the Day for the Oklahoma House of Representatives. The Chaplain presents a brief message and prayer shortly after the House convenes every Thursday during the four-month session. Pastor Faulkner is my pastor. He serves as the Senior Pastor at Metropolitan Baptist Church in northwest Oklahoma City. I was honored to sponsor him this morning. Oklahoma’s economy shows evidence of continued gradual improvement, State Treasurer Ken Miller said today as his office issued its monthly Gross Receipts to the Treasury report. During March, receipts to the State Treasury totaled $923.26 million. That is an increase of $51.56 million or 5.9 percent over March of last year. In the past 12 months, gross collections were $9.898 billion, an increase of $492 million or 5.2 percent over the previous 12 months. “Our analysis of all major sources of revenue deposited into the Treasury through March confirms Oklahoma’s economy is expanding at a relatively good pace, which should lead to continued job growth provided external shocks do not intercede,” Treasurer Miller said. Miller said monthly receipts show all major tax categories are growing compared to the prior year, with energy production taxes noticeably higher. Income tax collections, a combination of personal and corporate income taxes, produced $347.46 million in March. That is a $31.31 million or 9.9 percent improvement over March of last year. Personal income tax collections in March produced $249.92 million, a decrease of $11.41 million or 4.4 percent compared to the previous March. Corporate collections for the month totaled $97.53 million, an increase of $42.71 million or 77.9 percent from the year before. “Despite the dip in personal income tax numbers, most indicators point to an optimistic outlook for much needed job growth in Oklahoma. While our unemployment rate is better than much of the nation, we are still a long way from full employment,” Miller said. The latest numbers show Oklahoma with 6.5 percent unemployment in February, compared to national unemployment of 8.9 percent from the same period. The latest national figures show unemployment in the past four months dropping at the fastest pace since 1983. Gross sales tax deposits totaled $289.23 million for the month, an increase of $20.33 million or 7.6 percent from the prior year. Approximately 46 percent of each month’s gross sales tax deposits are made on behalf of counties and municipalities. Compared to February collections, March sales tax receipts remained relatively flat. 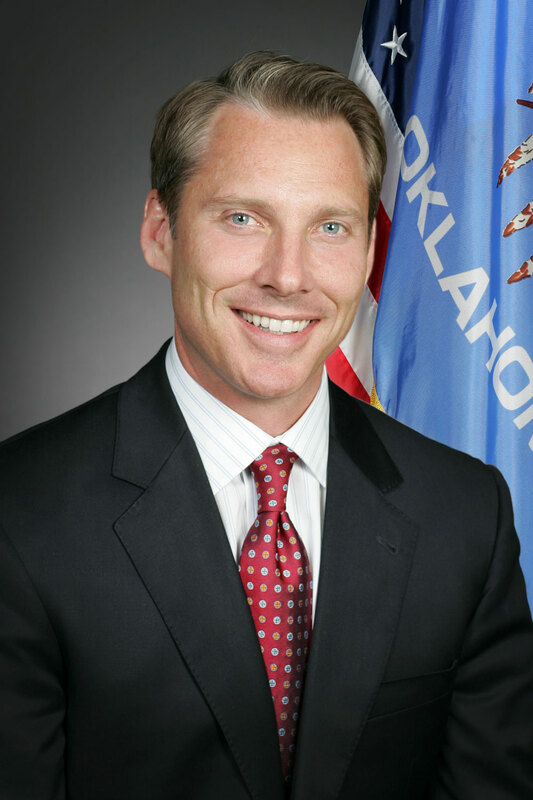 “Oklahomans are continuing to show confidence in the recovery through their increased consumption of goods and services as reflected in our sales tax collections,” Miller said. Taxes on gross production of oil and gas generated $105.81 million in March. That is $4.39 million or 4.3 percent higher than collections in March 2010. Compared to February receipts, March collections jumped $32.15 million or 43.6 percent. In March, motor vehicle tax collections were $64.62 million, an increase of $5.31 million or 8.9 percent from the prior year. Other revenue, consisting of about 60 different sources including taxes on fuel, tobacco, horse race gambling and alcoholic beverages, produced $116.15 million in March. That is a reduction of $9.77 million or 7.8 percent from the prior year. A broad look at receipts shows the last peak in Oklahoma’s economy occurred in the 12-months that ended in December 2008, when collections totaled $11.283 billion. The bottom was reached in January 2010 when 12-month collections totaled $9.364 billion, reflecting a $1.919 billion or 17 percent drop. Receipts for the last 12 months, at $9.898 billion, show improvement since January 2010 of $534 million or 5.7 percent. However, the latest 12-month receipts remain below the December 2008 peak by $1.385 billion or 12.3 percent. “This analysis clearly illustrates that Oklahoma’s economy continues to mend, but that full recovery from the Great Recession lies many months away,” Miller said. Gross receipts for the past 12 months show growth compared to the previous 12 months in all categories except income tax, Miller said. Income tax collections between April 2010 and March 2011 were $3.324 billion, which is $36 million or 1.1 percent below the previous 12 months. Miller explained that income tax collections are a lagging indicator of economic growth as businesses typically delay new hiring following a recession. Gross production taxes on oil and gas showed the biggest percentage increase for the 12-month period. Collections were $948.2 million, an increase of $184.54 million or 24.2 percent from the April 2009 to March 2010 period. Sales tax collections showed the largest dollar increase with $3.648 billion received during the period. That is an increase of $269 million or 8 percent from the prior 12 months. Motor vehicle receipts were $621.63 million for the 12 months, an increase of $48.97 million or 8.6 percent from the prior 12-month span. Other sources generated $1.356 billion for the period, an increase of $25 million or 1.9 percent. In my State of the State address this February, I told lawmakers that nothing is more important to the future of our state and our long-term prosperity than improving student achievement. To see that improvement, I’ve outlined a comprehensive series of reforms to increase accountability and transparency in education, get more money into the classroom where it can do the most good, and raise the bar for students and teachers. Empower the state superintendent so that she has the ability to truly run the Department of Education: Voters elected Superintendent Janet Barresi to implement the reform agenda she outlined during her campaign. She – not the unelected Board of Education – should have the power to run her own department. End “trial de novo:” Under our current system, a teacher who is terminated for poor performance can initiate a lengthy legal appeal process known as “trial de novo.” It has become unaffordable and nearly impossible to fire a teacher who isn’t getting results, something that is unfair to our students as well as teachers who perform their jobs well. Create an “A-F” grading system for public schools: Parents need the ability to quickly and easily evaluate the quality of a school they are sending their children to. Assigning an “A-F” grade for each school based on performance and improvement brings more accountability and transparency to our system. Florida has implemented such a system and achieved incredible results. End social promotion: It has been said that from kindergarten to the third grade, a child “learns to read,” but from the fourth grade on a child “reads to learn.” Unfortunately, our schools continue to promote many third graders who cannot read to the fourth-grade level in an effort to keep them with peers in their age group, a process known as “social promotion.” The result is a continuing cycle of failure, as children who are behind in their reading skills are not able to catch up and are unable to learn new material without the ability to read at grade-appropriate level. That practice must stop. Get more money into the classroom: The dollars we spend on teacher salaries, school equipment and in-classroom costs are the ones that most directly benefit our children and improve the quality of their education. Unfortunately, an unacceptably large amount of tax dollars are diverted to pay for administrative and bureaucratic costs. I’ve asked the Legislature and Superintendent Barresi to work with me to get more of our money into the classroom where it can do the most good. I’m happy to say I expect to sign the first two of these legislative items into law this week. That’s a good start, but we’ve got a long way to go before we can say we are doing everything we can as a state to deliver the kind of high-quality education that our children need and deserve. As former Florida Governor Jeb Bush told our legislative leaders during a trip to Oklahoma last week, we are in a unique position to pass meaningful, comprehensive education reform that can make a lasting impact on the quality of our schools and the success of our children. It’s not an opportunity we can afford to let pass us by. Governor Bush is right, and it’s my great hope the Legislature can act on the remaining measures as quickly as possible and get them to my desk. Our future, our economic success and the success of our children depend on it. Governor Mary Fallin today signed into law a bill that authorizes the Department of Human Services to release a “Most Wanted” list of delinquent or missing parents who owe child support. 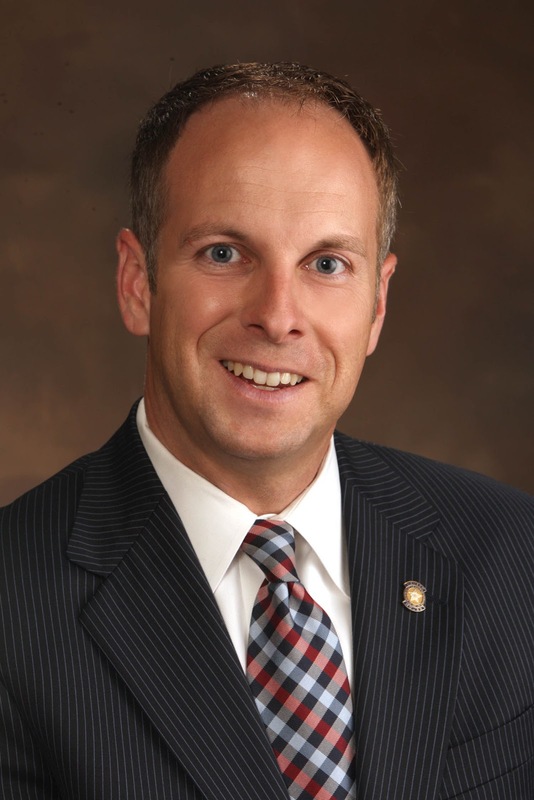 Senate Bill 576 was authored by Rep. Jason Nelson and Sen. Patrick Anderson. SB 576 creates a new tool for DHS to find these parents when traditional means have been exhausted. The “Most Wanted” lists may include a delinquent parent’s name, photograph, last known address and amount of child support owed.